Great for a quick break, especially if you're in-between bands at a concert or only have 15 minutes to step out of the office. They burn pretty fast and puts out a lot of smoke. It's sweet but not as nutty as I expected. The natural flavors are "okay" and the infusion is only a hint, mostly on the foot smoke. Love the cello on each individual one and recommend them to any infused lover. Great tasting small cigars. And amazing prices at Best Cigar Prices! 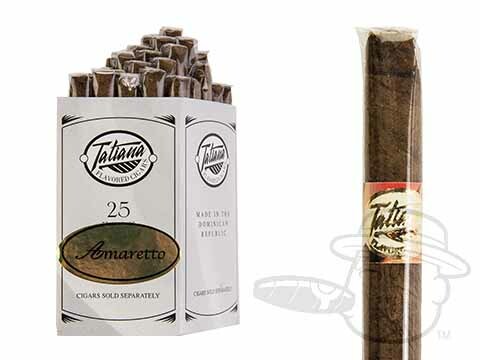 Tatiana Miniature Amaretto is rated 4.7 out of 5 based on 3 customer ratings.